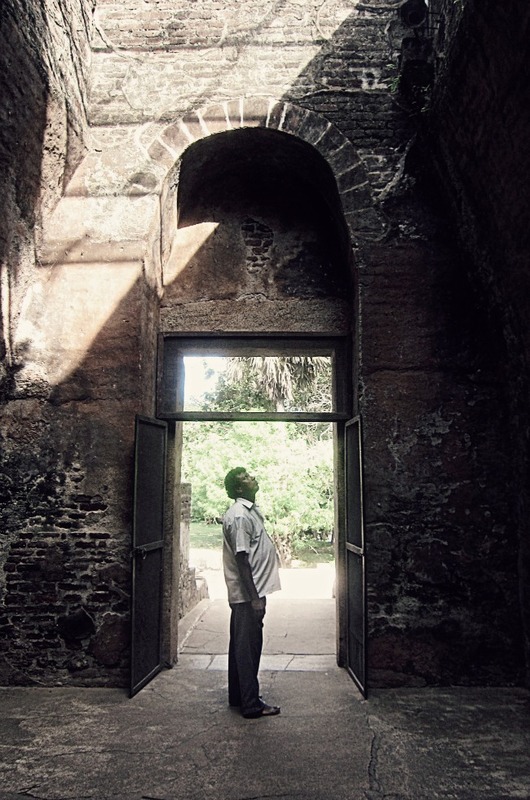 Our main man in SL, Mr. Sarath Kumar, lost in the beauty that is Polonnaruwa. He was looking upward and pointing at the roof, explaining why the roof had sort of a net structure. And just for a moment, the beauty that he's been presenting to visitors for over 12 years, had him at a standstill. Design is beautiful. Beautiful design is forever.